and personalized medicine can have. The discovery of the connection between lifespan and the hormone insulin is extraordinarily interesting. The poor control of insulin and blood sugar through lifestyle practices is associated with diabetes, early-age disability and shortened life expectancy. Individuals who develop type 2 diabetes, which is NOT, genetic, typically develop a a wide range of health problems and most recently is linked to cognitive decline and Alzheimer’s disease. elevated insulin levels in the blood even when normal glucose levels are present. harmful effects of type 2 diabetes ( eye disease, kidney disease, nerve dysfunction, cardiovascular risks, and even dementia risks). 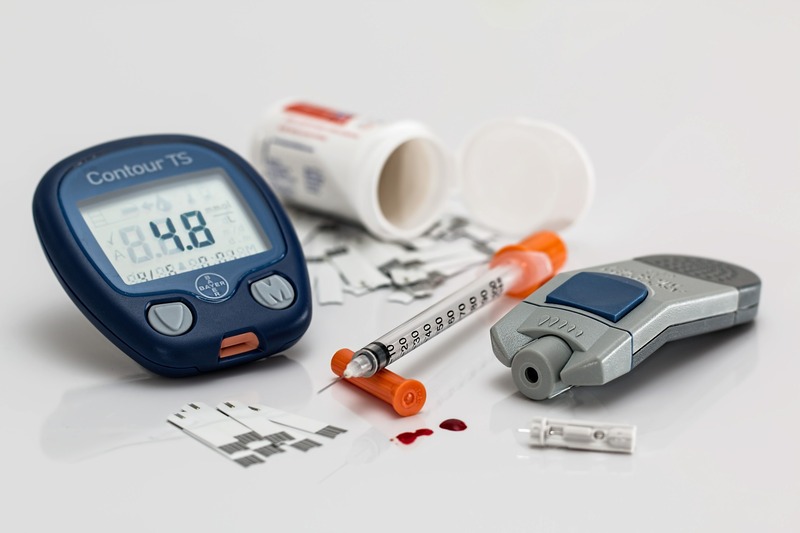 Just because medications are ineffective in the treatment of type 2 diabetes, both short and long term, does not suggest there are other methods to effectively resolve or reduce type 2 diabetes. The functional medicine approach to type 2 diabetes is to identify and correct the underlying causes and initiate appropriate lifestyle changes. Type 2 diabetes in many cases IS reversible. health and vitality for each individual. makeup of each patient is considered, along with both internal (mind, body and spirit) and external (physical and social environment) factors that affect total functioning. exercise; use of the latest laboratory testing and other diagnostic techniques; and prescribed combinations of drugs and/or botanical medicines, supplements, therapeutic diets, detoxification programs, or stress-management techniques. Dr. Dale Bredesen and Dale David Perlmutter have defined a new path for physicians to treat individuals diagnosed with Alzheimer’s Disease and cognitive decline. Dr. Perlmutter in his best seller book, Grain Brain, first spoke of cognitive decline as a type of insulin abnormality of the brain that he refers to as type 3 diabetes. Dr. Dale Bredesen as a professor at UCLA went further in his research and has created the only program that has shown to be successful to prevent and reverse Alzheimer’s Disease and cognitive decline. Dr. Bredesen’s best selling book, The End of Alzheimer’s, describes six subtype causative or contributing factors and treatment programs that are individualized based upon several diagnostic and laboratory results. Basically what this article is saying is that there may be several factors developed over ones lifetime that may cause and or contribute to Alzheimer’s Disease and cognitive decline and treating these issues will produce the best results. The current treatment used in convention medicine is using pharmaceutical drugs to attack the amyloid plaques seen in the brain scans of Alzheimer patients. Of the 18 FDA approved drugs used to treat Alzheimer patients, none have successfully helped and in fact they have caused increased cognitive decline. The explanation of these disappointing outcomes is that the drugs were developed to attack the amyloid plaques and a recent scientific discovery has found these plaques are formed as a defensive response of the body against inflammation and toxicity. This is very important to recognize because if an individual is diagnosed with Alzheimer’s disease, there offspring may posses genetic risk factors. Early evaluationgives one the best opportunity for a favorable outcome or prevention. information on the ReCode program. Chronic inflammation is just as harmful as acute inflammation is beneficial.What thoughtful person would willingly expose themselves repeatedly to foods or other substances that are know to cause injury to their body? Well, smokers, perhaps, however at least they made that choice willfully. Let me repeat that: The injury and inflammation in our blood vessels is caused by low fat diet recommended for years by mainstream medicine. What are the biggest culprits of chronic inflammation? Simply, they are the overloadof simple, highly processed carbohydrates ( sugar flour and all the products made from them) and the excess consumption of omega-6 vegetable oils like soybean, corn and sunflower that are found in many processed foods. How does eating a simple sweet role create a cascade of inflammation to make you sick? When we consume simple carbohydrate like sugar, blood sugar rises rapidly. In response, your pancreas secretes insulin whose primary purpose is to drive sugar into the cells where it is stored for energy. If the cell is full and does not need glucose, it is rejected to avoid extra sugar gumming up the works. When your full cells reject the extra glucose, the blood sugar rises alarming the pancreas to produce more insulin AND the glucose is stored as fat. A sort of storage form of glucose until the body requires the glucose for energy at a later time. Ther is no escaping the fact that the more we consume prepared and processed foods, the more we trip the inflammation switch a little each day. The human body cannot process, nor was it designed to consume, foods packed with sugars and soaked in omega-6 oils. There is but one answer to quieting inflammation, and that is returning to foods closer to their natural state. To build more muscle, eat more protein. Choose carbohydrates that are very complex such as colorful fruits and vegetables. Cut down on or eliminate inflammation-causing omega-6 fats like corn and soybean oil and the processed foods that are made from them. Animal fats contain less than 20% omega-6 and are much less likely to cause inflammation that the supposedly healthy oils labeled polyunsaturated. Forget the “science” that has been drummed into your head for decades. The science that saturated fat alone causes heart disease is non-existent. The science that saturated fat raises blood cholesterol levels is very weak. Since we now know that cholesterol is not the cause of heart disease, the concern about saturated fat is even more absurd today. my day to right the wrong with scientific and medical fact. I trained for many years with other prominent physicians labeled “opinion makers.” Bombarded with scientific literature, continually attending education seminars, we opinion makers insisted heart disease resulted from the simple fact of elevated blood cholesterol. The only accepted therapy was prescribing medications to lower cholesterol and diets that severely restricted fat intake. Deviations from these recommendations were considered heresy and could quite possibility be considered malpractice. The long established dietary recommendations have created epidemics of obesity and diabetes, the consequences of which dwarf any historical plague in terms of morality, human suffering and dire economic consequences. Despite the fact that 25%of the population takes statin medications and despite the fact we have reduced the fat content of our diets, more Americans will die this year of heart disease than every before. I would strongly recommend these two important videos on this topic Fed Up & Hungry for Change.